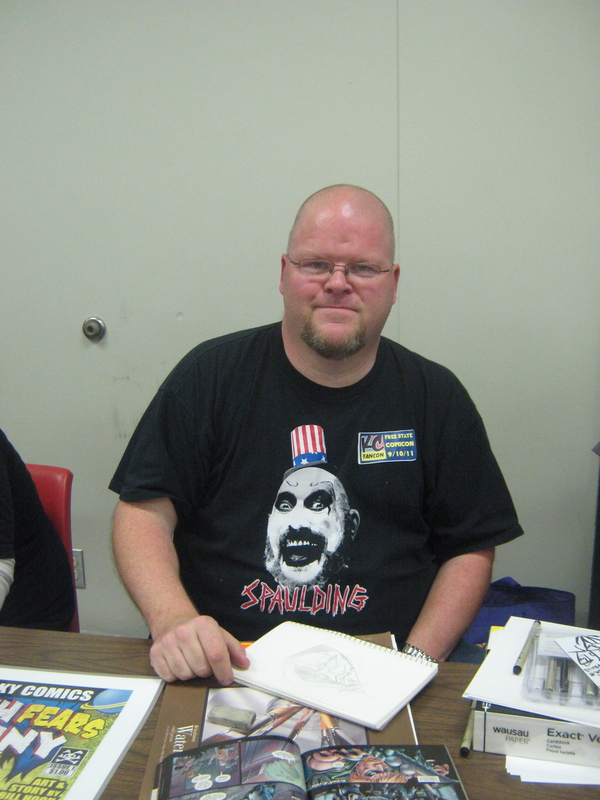 Bill Hook is an illustrator who does graphic design and cartooning in a staff position by day and a comics creator and freelance artist by night. His work has appeared in Scary Monsters Magazine, the Kansas City Star, and his self published books. He is an occasional podcaster, an avid comics reader, a toy collector, a guitar collector, a kaiju film fan, and a horror fan. “I am a firm believer in the potential of the comics medium and I love to sing its praises to everyone who will listen,” Hook said. Bill, get a hold of me. Possible work with local sportscaster.